Good morning, C. I totally concur with Bonnie. If you are already working with a Financial Planner, perhaps that is a great place to start. He/she can assist you to find the Estate Planning attorney to suit your unique circumstances. jump4, maybe - there's more to know and isolated investment allocation actions can be a disconnect from overall planning. Let me re-state what I think you're saying to see if I can be helpful - you manage your own investments, you've determined a 60% stock/40% bond allocation is appropriate for you and you're asking if the 40% bonds should be exclusively in the IRAs for the next 10 years? If that's correct, I'd like to know more about your tax situation. Jump4, You may consider how much you are taking from your IRAs vs your taxable accounts each year to minimize your tax bill. I generally think asset location (which account holds which assets) is less important than managing your overall asset allocation. If you spend from one account exclusively, it can be difficult to keep an appropriate overall asset allocation. Jump4: You want to have a diversified mix of assets within each of your accounts. Depending on your tax bracket, you could consider holding tax-free municipal bonds in your taxable account. Holding some bonds in your taxable account would give you flexibility to take distributions from the account and avoid selling equities in a down market. My wife and I are 38 years old and do not have kids yet. We still rent an apt and will not buy for the next 2-3 years due to uncertainties in our jobs. We always maximize retirement contributions. Retirement: 630k; Student Loan: 115k (0.7%); No credit card debt; Cash: 512k (0.75%). 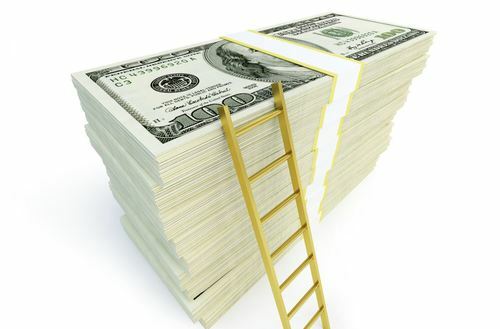 To increase yield on cash: should we ladder CDs? Invest in municipal bonds? Keep it in a savings account? Something else? A combination? www.kiplinger.comThe best way to maintain the liquidity of your savings, boost yield and protect yourself against rapid rate changes is to stagger the maturity dates of your CDs. Joan, my retired clients often face two large expenses - taxes and medical care or coverage. REITs pay out income by design - that income comes as dividends and they are generally not qualified dividends for taxes which means in a taxable account, you may pay more. They can be effective in an overall plan, however so based on the very limited information we have here, you may wish to review it with your planner. As for a small conversion to a Roth, a planner can do that math for you including the 'time value of taxes paid now or later' and of course, you'll need the cash for any taxes to be paid in a conversion. Joan: Investing in the REIT using a Roth is preferable to investing using the taxable account. The tax consequences of the Roth conversion would depend on the ratio of nondeductible dollars to deductible dollars in your IRA. You should consult with your planner or tax advisor on the optimal amount to convert. Rodney, Vid, and Bonnie: thanks for your help! 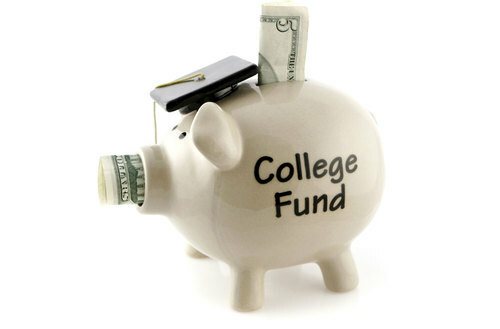 www.kiplinger.comWe've got answers to your frequently asked questions about 529 college-savings plans. “70% of people turning age 65 can expect to use some form of long-term care during their lives.“ claims a U.S. Department of Health and Human Services report. “Annual median cost of a Semi-private nursing home in the nation is $82,125 in today’s dollars,” says a Genworth (2015) survey. Based on the data from these reports, a couple planning for retirement, and assuming three years of LTC for each during their lifetime, should set aside close to $500K ( in today’s dollars) just to cover their Long-term care needs. I am not suggesting that you go out and look for an LTC policy, but this is something you MUST consider while planning for your retirement. Accordingly, I agree with what Frank suggested - that retirement planning should not be a do it yourself project unless you are a professional. Thank you, this is a great service you have offered! My question involves stepped up basis of stock at the death of the first spouse. Does 50% of stock shares get stepped up basis and the remaining 50% maintain the original cost basis or does all shares get stepped up to 50%? Does it differ between JTWROS and JT in common? Are all fee only financial planners also fiduciaries? I am struggling to make a decision on an online banking tool. I am afraid to relinquish my bank access. Are there any other reliable tools out there? GlennP - I'm saddened to hear about your brother's passing. Three of his assets would pass to whoever was named on the beneficiary designation form--the 401(k), IRA, and life insurance policies. Those assets pass outside the probate process. The house, on the other hand, would pass according to your brother's will or based on what a probate judge decided. Normally the retirement accounts and life insurance are paid directly to the beneficiaries, with possible withholding taxes on the retirement accounts. Life insurance proceeds are tax free. The home proceeds are also tax free. So as far as I can determine, the only income tax due would be on the 401(k) and the IRA. Hopefully the executor is working with an estate attorney to make sure that the process is going smoothly. There are things like "Notice to creditors" that must be posted as part of the estate settlement process. Good luck. - life insurance is income tax free. Also note, there are income taxes and etstate taxes, so settlement of estates is not cut and dry. Delph - It's possible. Consider the blended family where two people who were married before have married and each have children of their own. This is where estate documents can get complicated. If the husband has an annuity and wants to make sure that most of the money goes to his kids from his first marriage, he might have all his wishes laid out in his will, such as "20% to my current wife, and the remaining 80% split among my living children." He could theoretically do this directly through the annuity company, but maybe he just wants to redirect all assets back to his will for some measure of simplicity. Having said all that, it seems to me that it's more efficient to name persons as direct beneficiaries of an annuity. Delphiad6 -- Probably not. Usually one uses the beneficary designation to keep things from being part of your oubic probate estate. A financial planner is recommending I get life insurance of 335K. I already have term insurance of 500K but it ends when I am 80. I am 72 now. The premium is 15K. Upon my death my wife would get my social of 35K and my pension of about 8K. I am mainly concerned about my 44 year old daughter who still lives with us and whose income is low. Is this an advisable strategy?